As a homeowner, it’s important to take whatever steps you can to add value to your home, keep your property and it’s contents protected and make it a safe place to live. Nowadays, installing steel fencing is becoming increasingly popular due to the many benefits it provides. 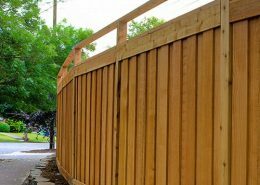 Maybe you are having a difficult time envisioning the many benefits that residential fencing can provide? Perhaps you’ve been ‘on the fence’ as to whether or not to install Permasteel or Colorbond® fencing? Whatever the reason you have for not installing fencing until now, we’re going to look at some of the undeniable advantages that steel fencing can provide to property owners. Keep reading below to learn more about steel fencing and how it can benefit your property now and for years to come. One of the most common reasons to purchase steel fencing is for the durability it provides. Timber fences are strong, but unless they are treated, they can develop wood rot or develop an infestation of termites, which harms the integrity of the structure. Steel fencing, on the other hand, is built to last. It will not warp, rot or be eaten by termites. Colorbond® fencing, for example, is built with galvanized steel so it can withstand the wildest Australian weather. Steel resists chipping, peeling and cracking, is non-combustible, termite resistant and is better for the environment as it is a one hundred percent recyclable material. Many homeowners purchase steel residential fencing because of the value it provides. Colorbond® and PermaSteel fencing are the lowest in cost. They will last for years, and they do not need much maintenance. If there is an issue, the repair is usually minimal and much less expensive than repairing a wooden fence. Everyone wants to feel safe in their home and on their property. A perimeter wall made of steel will provide protection from criminals and burglars who may want to break into your home. Wood fencing fences can start to wear if not maintained and may develop a soft spot that a criminal could potentially bust through. Steel fencing, however, does not deteriorate so a burglar would have a tough time trying to cut through the metal to get onto your property. Metal fencing is safe and secure choice for the protection of your loved ones, your home and the contents of your property. Steel fencing is a great option for those looking for an easy to maintain fencing solution. Once it is professionally installed, it is recommended to paint the steel with metal paint to protect it from rust formation, which can be caused by rain. Colorbond® fencing is ready to go with a superior baked-on finish so you don’t even have to worry about painting it. Opting for a steel fence is popular with homeowners due to the aesthetic value it provides. 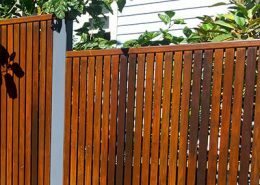 Colorbond® and PermaSteel steel fencing are fully-customisable to match your needs and your home’s existing style. Steel fencing can be cut to suit your height and privacy requirements, can be combined with gates and driveway doors and is available in a range of stylish colours, all of which are sure to compliment your home. Metal fencing is very pleasing to the eye thanks to its crisp lines, offering a sleek, modern look, which can boost your property value and make your home much more attractive. Why Should I Choose Steel Fencing for my Property? With its ease of maintenance and pleasing, modern aesthetic, steel fencing is a firm favourite with homeowners. Due to its strong, robust construction, metal fencing provides an unparalleled level of protection to your property and will outlast any other type of fencing. Steel fencing will also save you money in the long run as you won’t incur any extra maintenance costs or need to replace your fence as regularly, if at all! Steel fencing is a great addition to any property as it delivers what you need while standing the test of time and looking great.